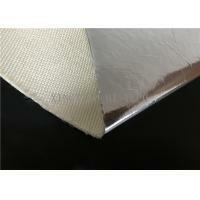 acrylic coated fabric is the mutilfuctional thermal insulation material with high performance. 1. temperature between -70°C to 150 °C. 2. ozone, oxygen, sunlight and aging, life expectancy up to 10 years. 3. with high insulation properties, dielectric constant of 3-3.2, the breakdown voltage 20-50KV/MM. 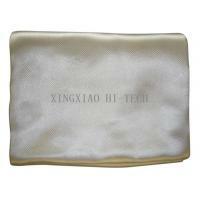 4. good flexibility, surface friction, good elasticity. 5. resistance to chemical corrosion. 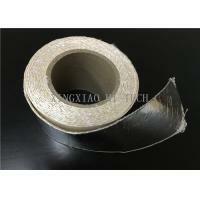 (1) electrical insulation: acrylic cloth with high electrical insulation and can withstand high voltage load, can be made of insulating cloth, casing and other products. 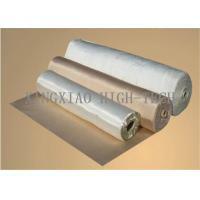 (2) Non-metallic compensator: acrylic cloth can be used for flexible pipe connecting devices, acrylic coated fiberglass membrane material as a substrate of flexible expansion joints and it can solve the thermal expansion and contraction of pipe damage, silica cloth with a more high temperature, corrosion resistance, aging resistance, good elasticity and flexibility, can be widely used in petroleum, chemical, cement, energy and other fields. 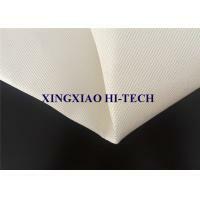 (3) anti-corrosion: acrylic coated fiberglass cloth, can be used as pipes, savings and external corrosion layer, excellent corrosion resistance, high strength, is an ideal anti-corrosion material. 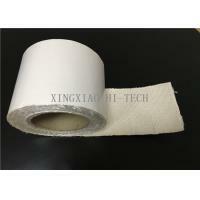 (4) other areas: acrylic coated fiberglass membrane materials can be used as sealing materials, high temperature corrosion resistant conveyor belt, packing materials and other fields. 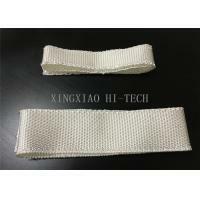 Wuxi Xingxiao Hi-tech Material Co., Ltd is established in 2012, which mainly produces are special industry textile, fiberglass coating fabric and insulation material. Our company is in Wuxi, which is near important port city---Shanghai and Nanjing, so its transportation is very convenient and it has good economic environment. The weaving plant，coating plant，thread&rope plant，sewing plant which belong to production department mainly work on researching and producing different sorts of fiberglass fabric, silica fabric, fiberglass coating fabric, fireproof thread, rope, tape&sleeve, detachable cosy, heat resist conveyer belt, machine covering, and such non-metallic heat resist products. 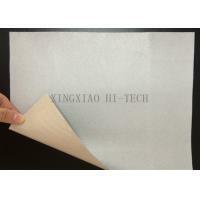 Xingxiao Hi-tech adopts advanced equipment to search and produce various types of products and this greatly benefit to developing high quality products. Our products have good capabilities of insulation, heat resistant,anti-corrosion and aging-resistant, they are widely used in spaceflight, chemical industry, petroleum,generating electricity equipment, machinery, metallurgy, electric insulation, construction and other fields. We are willing to provide the best and most effective service for our customers under the tenet of “innovation&striving for excellence”.